Lemon curd is an absolute treat over anything from simple waffles to pies and croissants. Sweet, thick, tangy, creamy and velvet-like this homemade lemon curd is luscious and luxurious with any dessert. 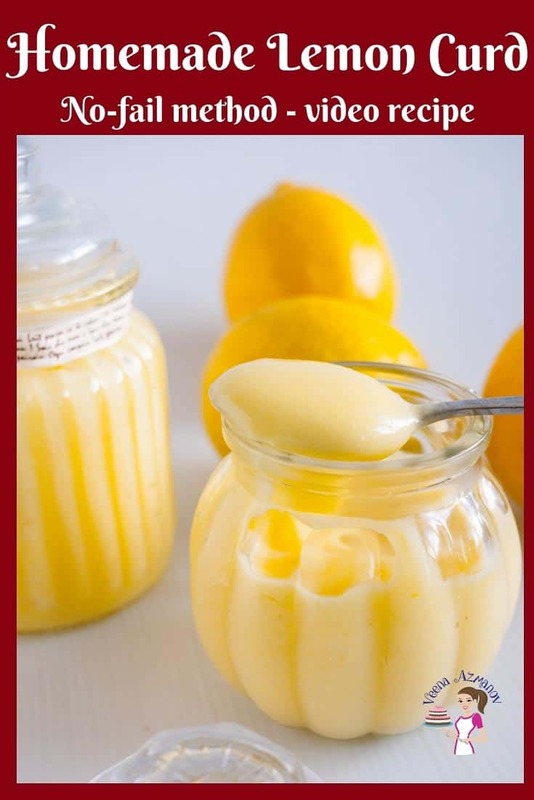 My simple, easy and effortless recipe for no-fail lemon curd recipe will give you the confidence you need to make fruit curd like never before. 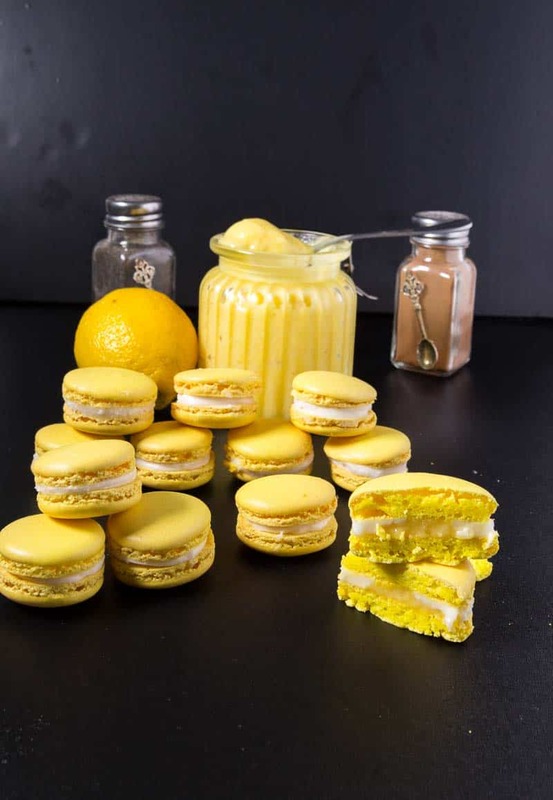 Step by step pictures, tips, and troubleshooting and video tutorial will help you master perfect lemon curd every single time. 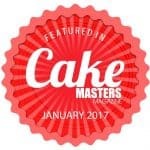 The most popular cake filling for me as a cake decorator is usually fruit filling. I think fruit curd is often the most dreaded by most novice cake decorators. I was too! And that’s not because it’s hard to make lemon curd, No! It’s just because of a wrong perception. 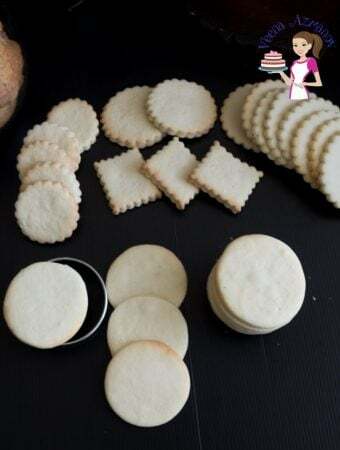 I’ve sat beside my mom, adding those little cubes of butter, as a kid for as long as I can remember and that was not hard. 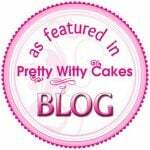 And yet, the first time I had an order for lemon curd cake filling – I was nervous! Why? 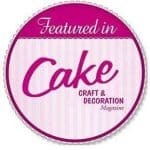 Well, cake decorating was new to me, so when other cake decorators were concerned and worried about lemon curd I became too! I inherited all the fears from my peer cake decorators in the group. So when I made lemon curd for the first time – I was mentally prepared for a disaster. But it was easy peasy. After all, I had done it before. Moral of the story – learn from your own experiences – don’t give in to peer fear. To me, a fruit curd is like a dessert on its own. I can eat it out of a jar with a spoon. It tastes delicious on its own! 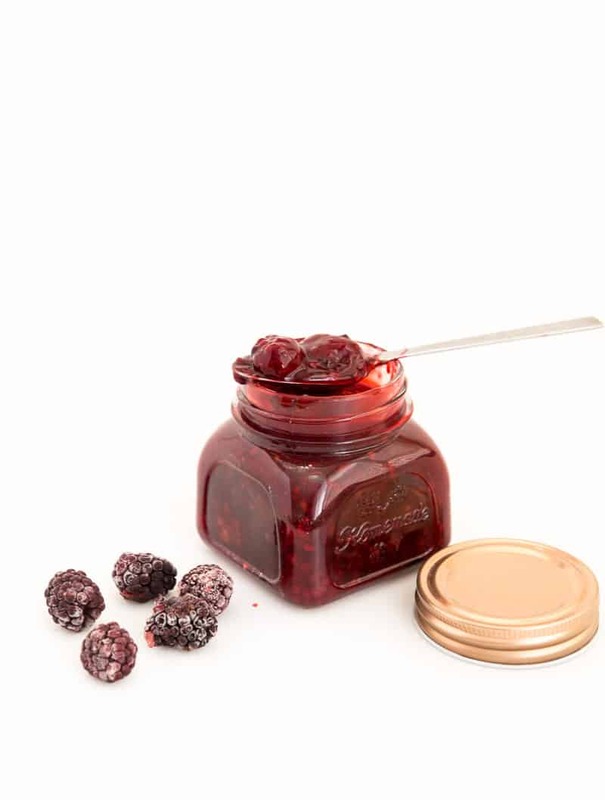 BUT, you can use it for many things from cake fillings, pie fillings, on breakfast toast, donuts, bagels. 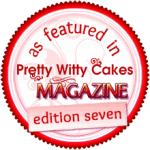 I love it as a filling in my lemon macaron with lemon buttercream too. 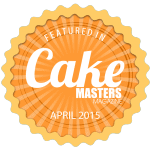 Have you tried a lemon cake with lemon curd cake yet? Always a hit with people who love lemon flavor. I eat lemon curd plain with crackers too! One must make sure they have all the necessary information to make it right. 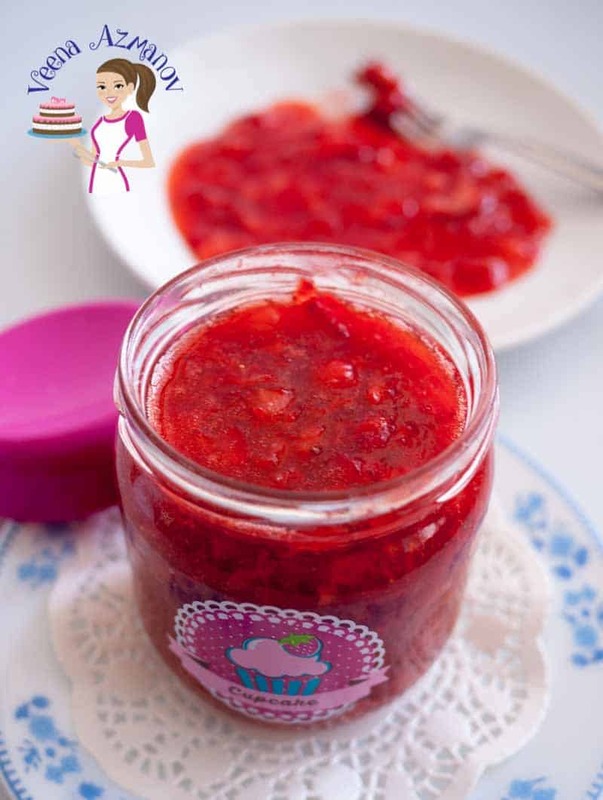 A fruit filling is usually the easiest to make. 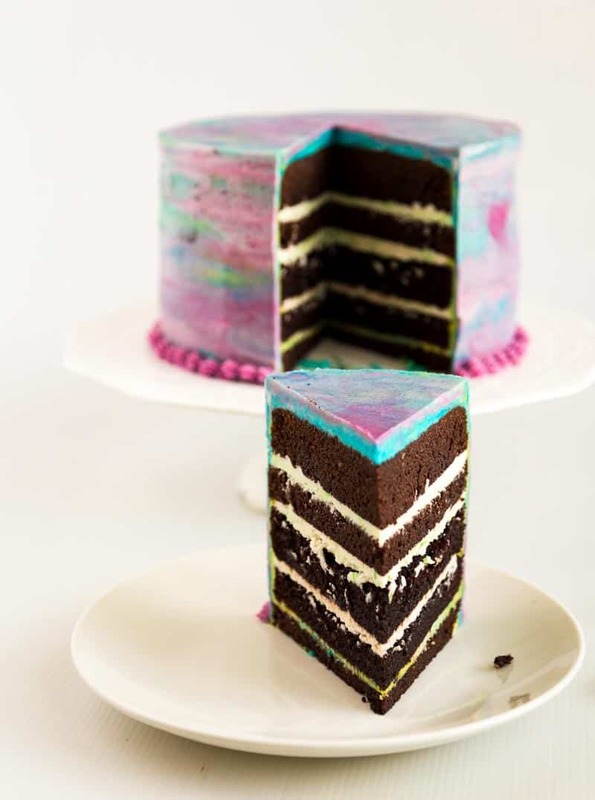 It mostly involves a fruit, some sweetener, and a starch, which come beautifully together into a thick gorgeous fruit filling. It looks and tastes beautiful when done right. 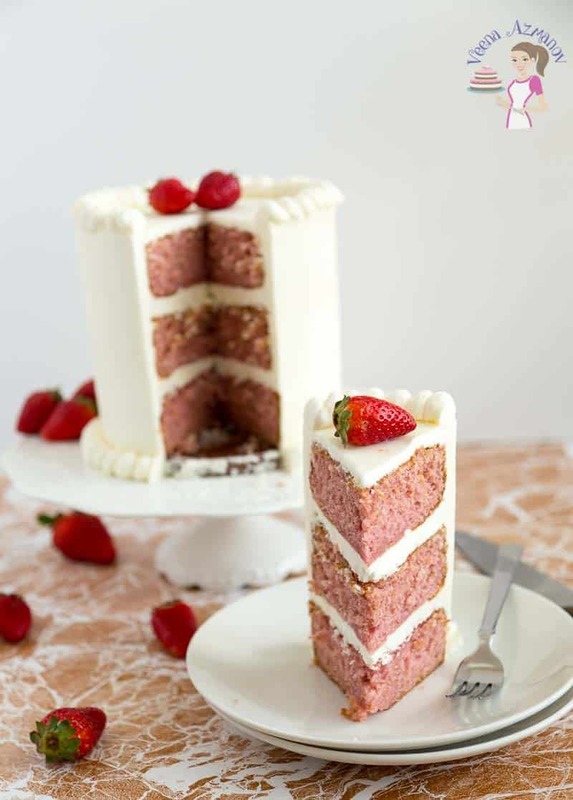 As I shared with you in my Blueberry (Cake) Filling or Strawberry (cake) Filling. 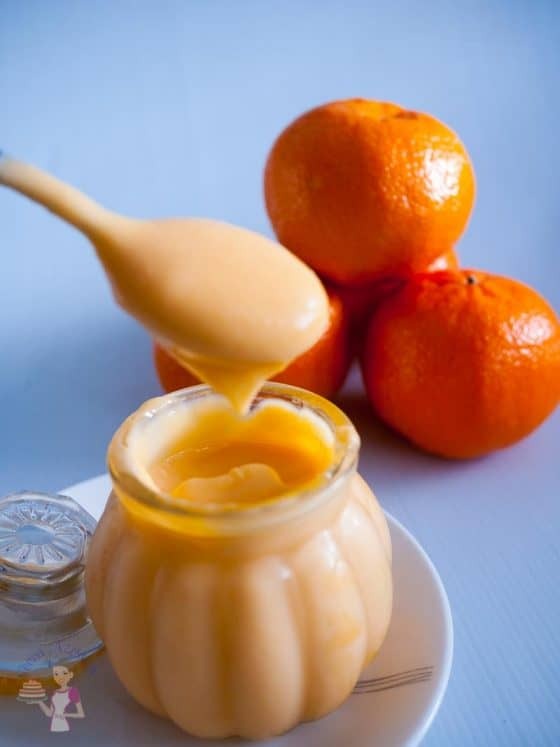 Fruit curd, on the other hand, requires a bit more tact because it involves a citrus fruit like lemon, lime or orange, a few egg yolks and emulsification with butter. Unlike a filling, you can’t just put it all in a pan and cook it. You need to exercise a bit more caution. Again it’s not difficult; it only requires caution. Both are similar but not the same. A pie filling is smoother and intense in flavor. 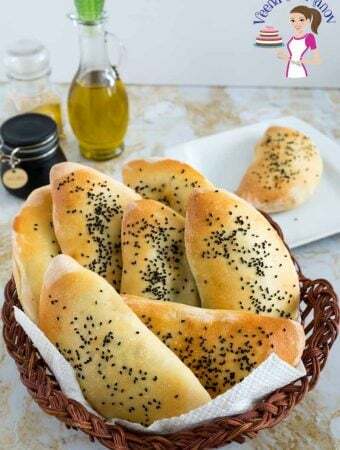 It uses flour or cornstarch as a thickening agent. 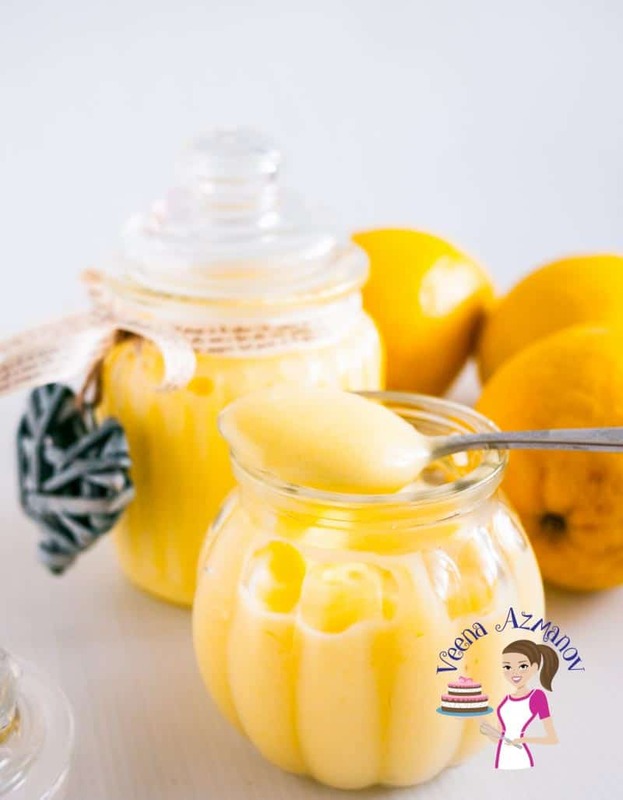 Lemon curd uses egg yolks and juice of the lemons as a thickening agent. What is the difference between lemon curd and lemon pudding? Lemon curd is used as a filling in cakes, pies, and pastries. It has a smooth texture and intense flavor. A lemon pudding may or may not use egg yolks but can be thickened with just cornstarch similar to a custard. Can I use this lemon curd as a pie filling? Yes, you can. This lemon curd is intense in flavor, and cornstarch has been used as a thickening agent. Make it lighter by adding whipped egg white meringue on top for a delicious lemon meringue pie. What can I substitute for the lemon? This recipe would be a good base for most citrus fruits. Try simple oranges as in my orange curd to season citrus fruits like blood orange, lime or grapefruit. I usually make a collage of progress pictures. However, since I know the fears of making lemon curd are hard to overcome I got lots of progress pictures for you that will help. 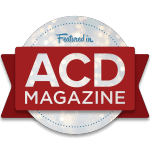 Besides, I give lots of tips and troubleshooting below so you will be well informed. 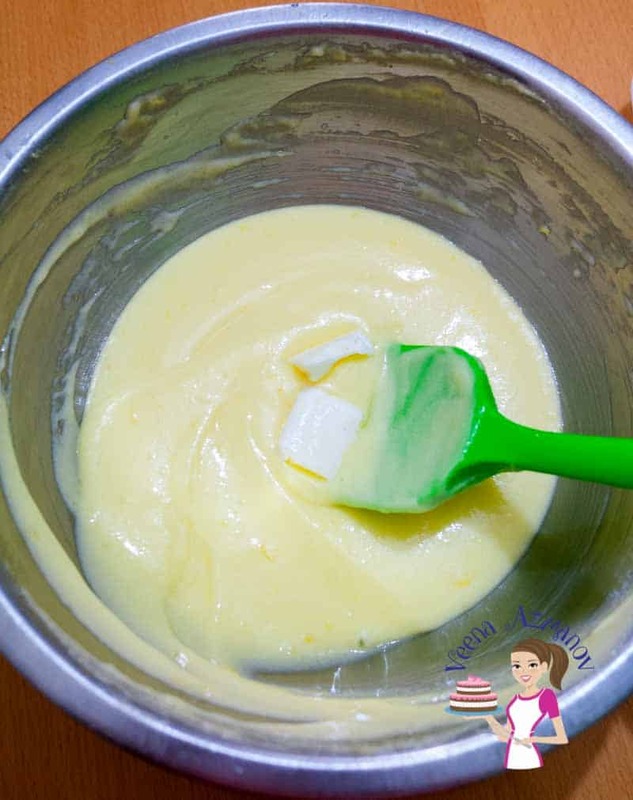 I promise you will enjoy making lemon curd from now on because today I am going to share with you – the easy way to make lemon curd. How do I use lemon curd? What can I use lemon curd in? 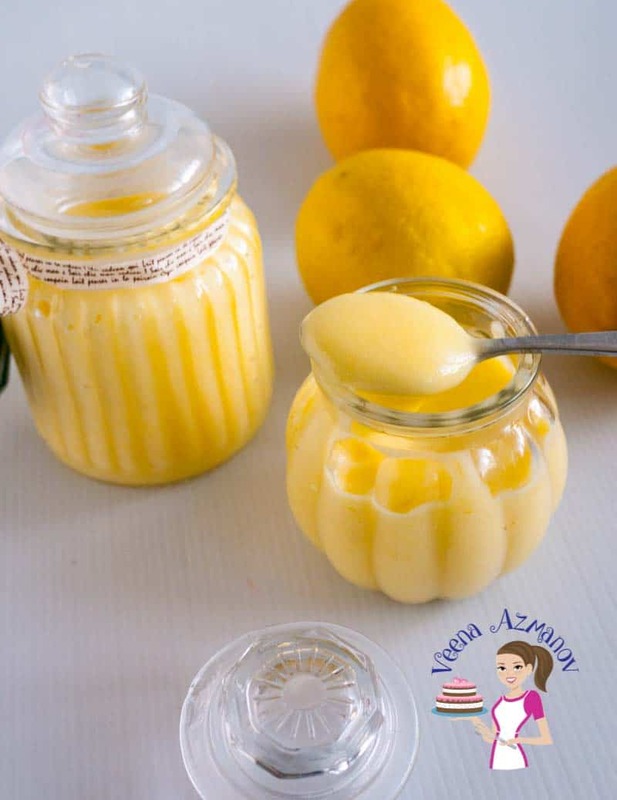 Lemon curd can be eaten just out of the jar or as an ingredient in other recipes. Spread it on breakfast toast, muffins, scones, trumpets. 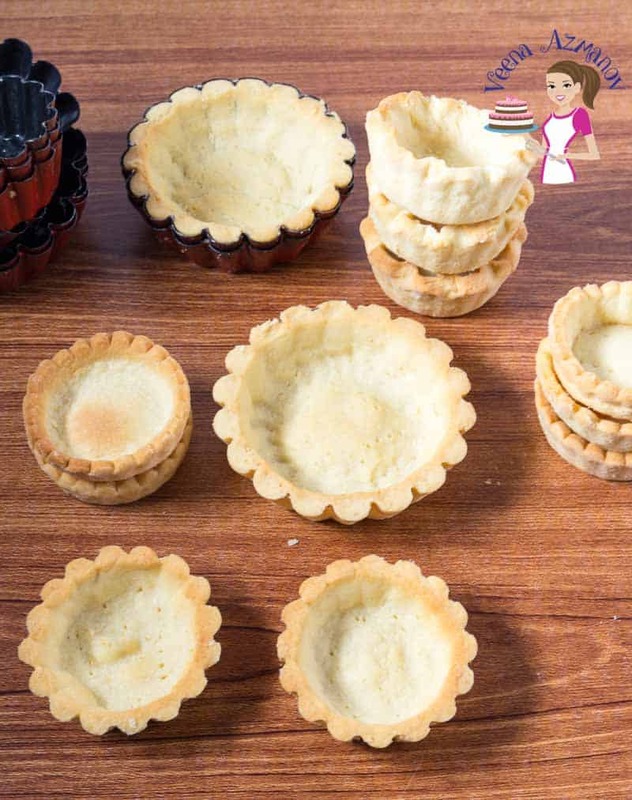 Add it to empty shortcrust pastry shells for mini lemon tarts. Spread it in a pie pan and top with meringue for a lemon meringue pie. Use it to make my 3 ingredients no-churn lemon ice cream. 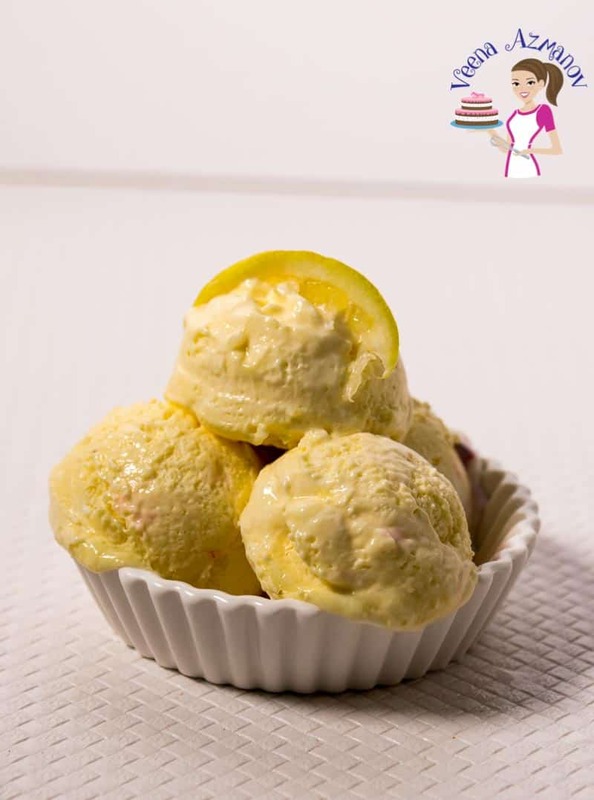 Lemons – Use the measure of lemon juice not the number of fruits when making this recipe. So if a method says 3/4 cup juice (3 to 4 lemons) usually the number of lemons is a guide – the actual measure you want to use is 3/4 cup. This can make a big difference. 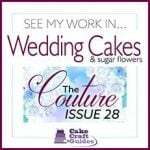 Caster sugar – Caster sugar is usually a fine grain sugar. Use a fine grain sugar that will dissolve quickly in the eggs. If you don’t find caster sugar pulse the regular sugar in a food processor and that will help. 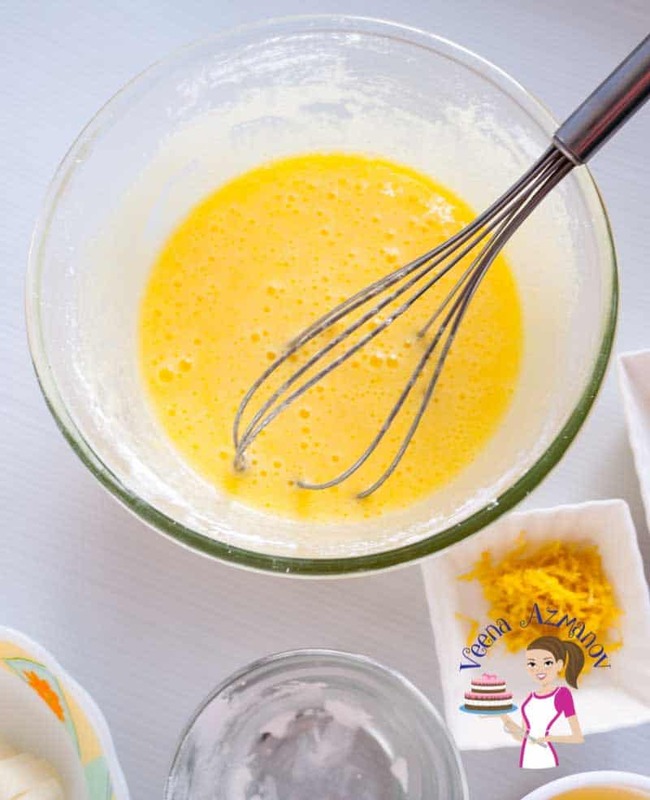 Egg yolks – The color of yolks will determine the end color of your lemon curd. So if you use light color yolks, you will have pale yellow lemon curd. A bright golden yellow or orange is much preferred. I’m using free range eggs that have beautiful color but not as golden yellow or orange as I’d like them to be. 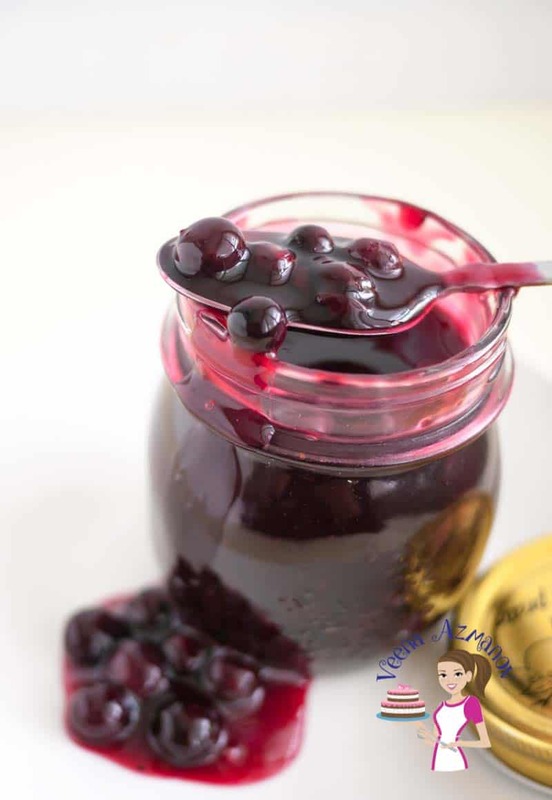 Artificial colors – I never use any artificial coloring in my lemon curd. But some commercial kitchens do add artificial color to their lemon curd. So do not presume that the store bought is better. There is no comparing homemade to store purchased. These do make the best GIFTS too!! Holidays, Christmas, Mother’s Day. 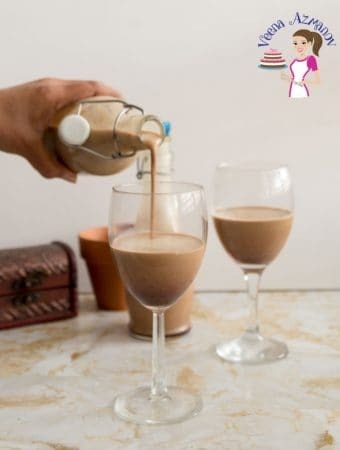 The common equipment used to make curds or melt chocolate is called double boiler or Baine Maire – Which basically means two pots – that sit comfortably within each other as below. You can do this at home – just find a sauce panand a mixing bowl that sit comfortably so the bottom is just tad bigger than the top. Quite similar to a Double Boiler that can be purchased. 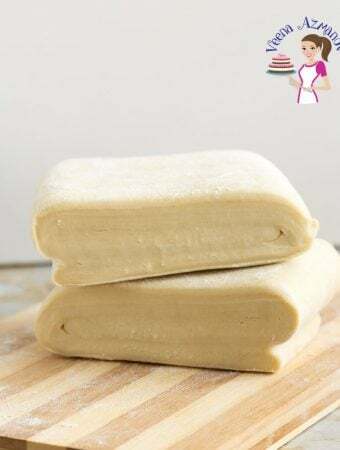 Often used to melt chocolate, prepare pastry cream or curds. A Whisk works best to ensure you have a smooth curd. Use a Spatula to gauge the thickness of the curd. Measure all ingredients before you start. Cut the butter into cubes – keep chilled. Place lemons in the microwave for 10 seconds before you cut and squeeze this will make it easy. Warm the lemon juice for about 30 secs. Add an inch of water to the pan with a heatproof bowl on top. The water should not touch the top pot. 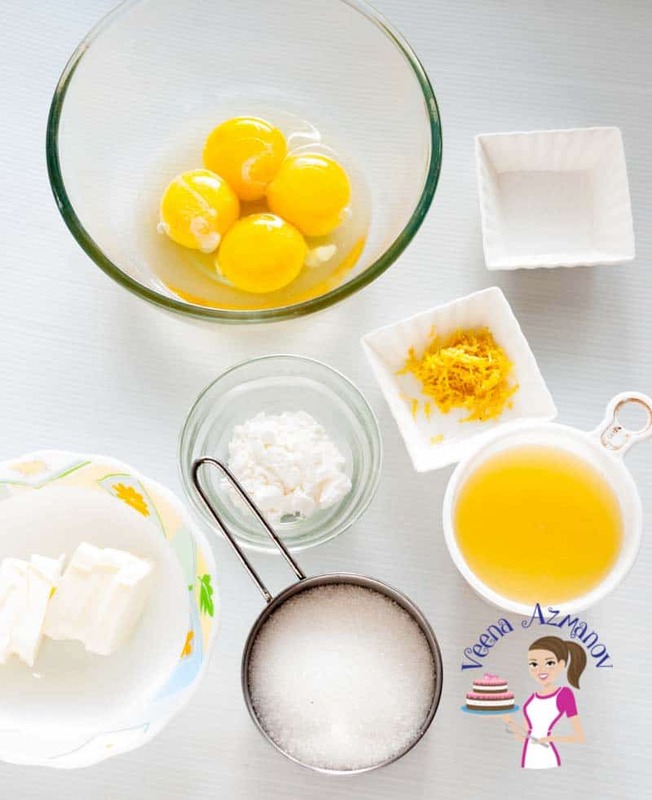 In the top bowl – add yolks, egg, salt, cornstarch, and sugar. 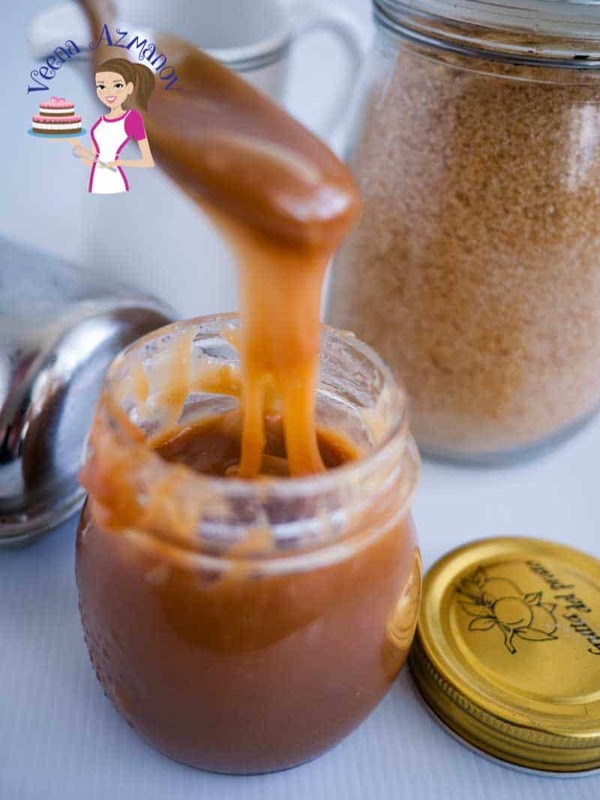 Whisk until light, and fluffy – sugar should almost melt. Pour the warm lemon juice and zest slowly into the whipped egg mixture. Continue to stir on low. The mixture should cook with just the steam from the water in the saucepan below. 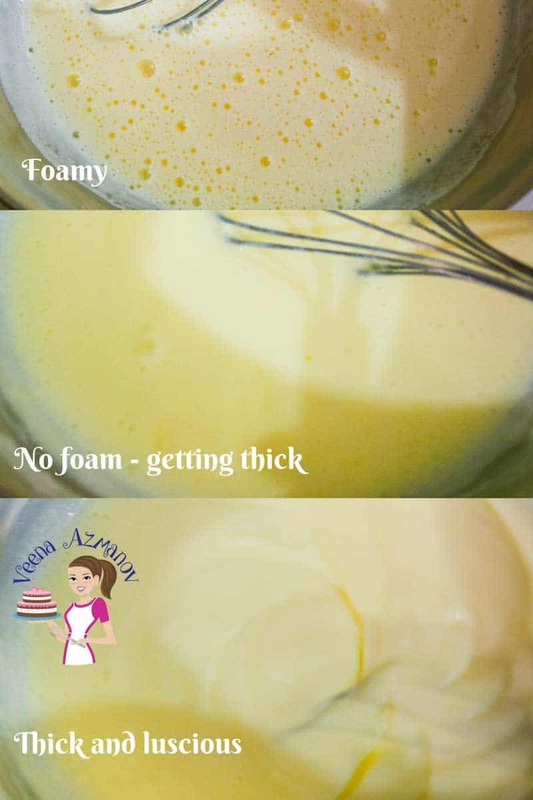 About 10 to 12 minutes – you will notice the foam that was caused by whipping the egg mixture will slowly disappear, and the mixture will start to thicken. Continue to stir until it coats the back of your wooden spoon. Gradually add cubes of butter one at a time. Make sure each piece is well incorporated. Once all the butter is incorporated, strain it through a mesh or a strainer to remove the zest. This will also give you a smooth, creamy curd. Pour the finished curd into a mason jar. Your lemon curd is now ready. Juice the lemons easily – a great way to exact as much juice from lemons is to microwave the fruits for a few seconds (10 seconds). Warm the lemon juice – warming the lemon juice helps it incorporate into the egg yolks well. Egg yolks / Whole eggs – I find that all egg yolks have a higher risk of curdling but the one whole egg does help stabilize it. 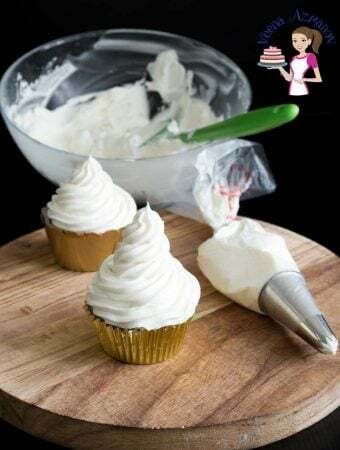 Whip eggs and sugar until light and fluffy – If you whip the eggs with sugar until the sugar almost dissolves it prevents the egg from curdling. Do not let the curd boil – cooking on low will prevent the curd from curdling. If the curd boils, it will give you a lemon flavored scrambled eggs. So no matter how boring – cook on low heat for 10 to 15 mins. If you find the curd steaming up – take it off the heat for a few seconds this will help stabilize it. How to know if the curd is done? You can use a thermometer and check until the curd reaches 170 F., But I find the best test is taste. Once the curd is thick and coats the back of a wooden spoon, taste it. It should not have any taste of eggs or cornstarch. If necessary cook for 30 secs more. Add butter slowly – this will help bring the temperature of the curd down slowly without curdling. 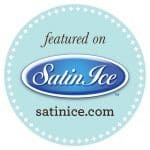 The curd is best stored in a mason or glass jar in the fridge. 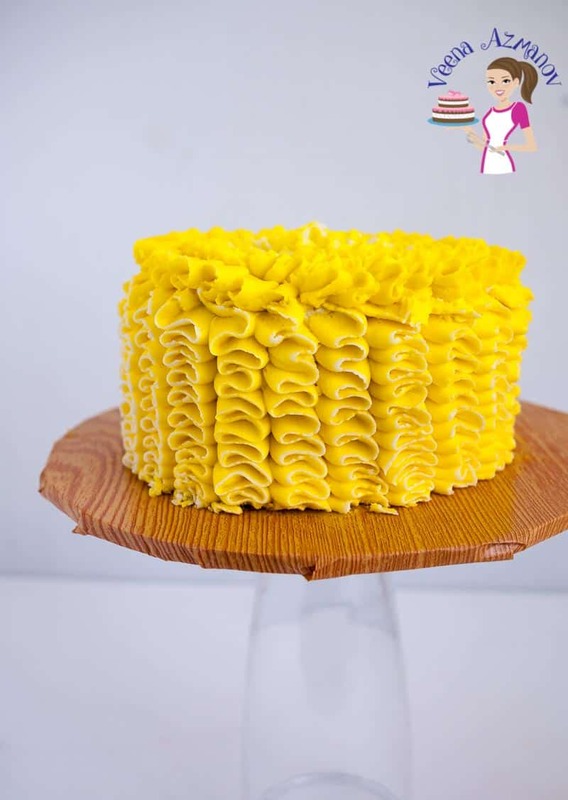 The presence of eggs in lemon curd makes it a perishable filling, so any item that has homemade lemon curd such as cakes and pie need to be placed in the fridge. 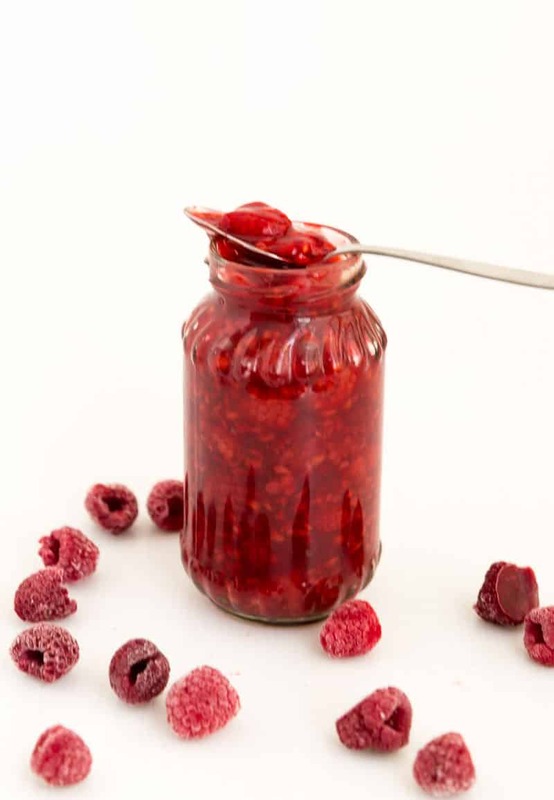 Avoid keeping fruit curd or citrus fillings in metal containers as the lemon can react with the metal. Egg yolks can react with the metal such as aluminum and cause it to become green in color. How long will lemon curd last? 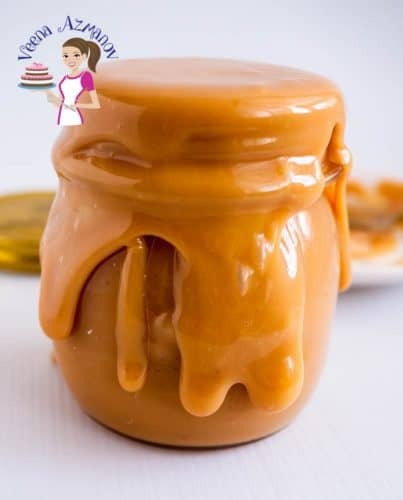 If sealed and properly stored lemon curd and be kept in the fridge for three months, however, once you have opened the jar do not keep the open jar for more than ten days to a maximum of 2 weeks. The lemon curd on the surface will get slightly darker when exposed to air, but it is not a health concern. Can I freeze lemon curd? Yes, lemon curd freezes well and can be kept for up to 1 year if stored properly. For best results, thaw in the refrigerator overnight or 24 hours before use. Lemon curd is an absolute treat over anything from simple waffles to pies and croissants. Sweet, thick, tangy, creamy and velvet-like this homemade lemon curd is luscious and luxurious with any dessert. 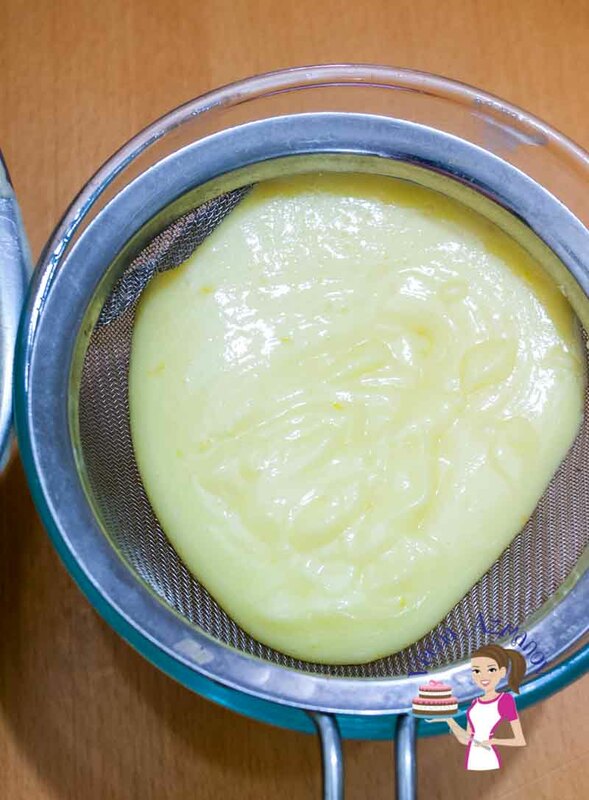 My simple, easy and effortless recipe for no-fail lemon curd recipe will give you the confidence you need to make fruit curd like never before. 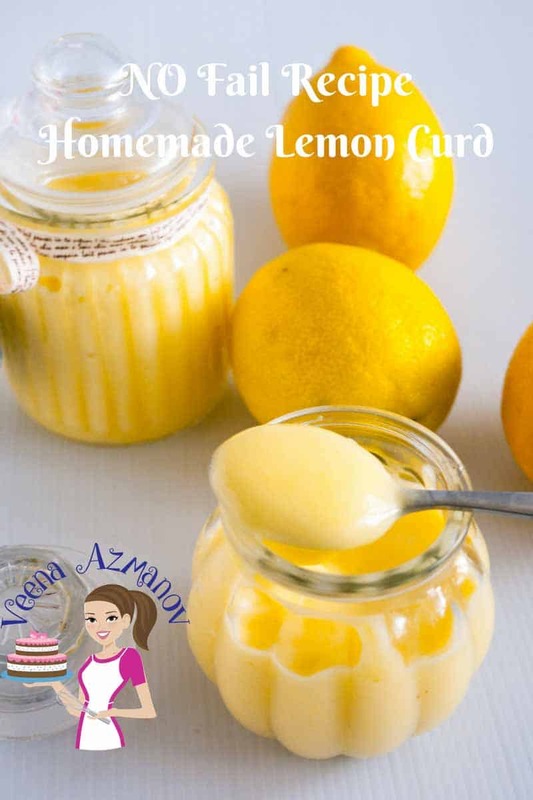 Step by step pictures, tips, and troubleshooting and video tutorial will help you master lemon curd every single time. Cut the butter into cubes - keep chilled. Add an inch of water to the saucepan with a heatproof bowl on top. The water should not touch the top bowl. In the top bowl - add yolks, egg, salt, cornstarch, and sugar. Whisk until light and fluffy - sugar should almost melt. About 10 to 12 minutes - you will notice the foam that was caused by whipping the egg mixture will slowly disappear. Once all the butter has been incorporated, strain it through a mesh or a strainer to remove the zest. This will also give you a smooth creamy curd. The curd is best stored in a mason or glass jar in the fridge. 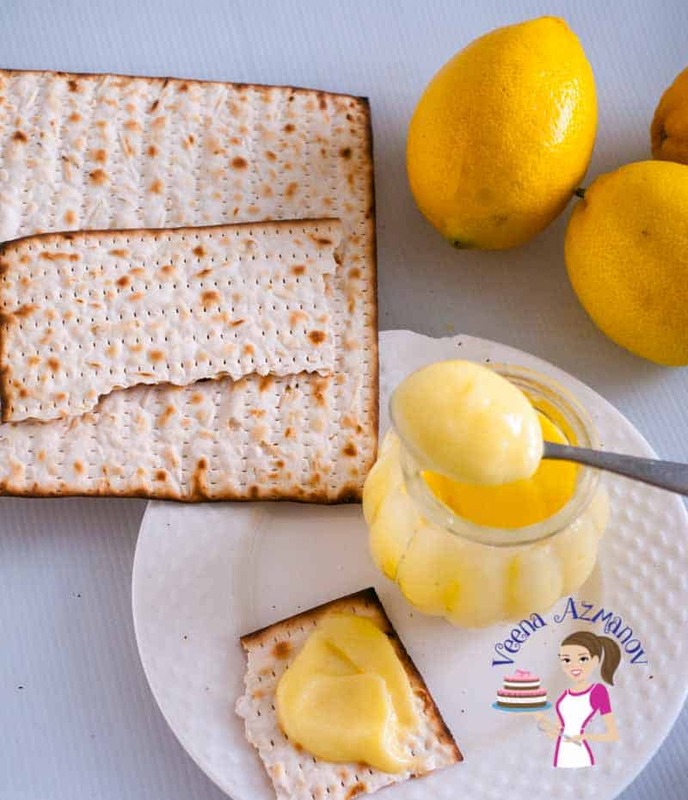 The presence of eggs in lemon curd makes it a perishable filling so any item that has homemade lemon curd such as cakes and pie need to be placed in the fridge. Hello, can I use blood oranges and keep all the measurements the same? I have Meyer lemons and blood oranges that I need to use. Also the butter says 113gms or ½ stick. That’s actually 1 stick of butter here at my house. Thanks. Hey Bea. Thank you, Yes, you can use blood oranges, lemons, lime. Try one or a combination of them if you like as well. Yes, that should be 1 stick. Thanks for bringing it to my attention. Just fixed it. 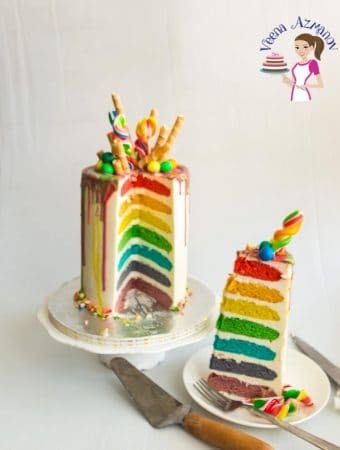 It looks so easy to make! 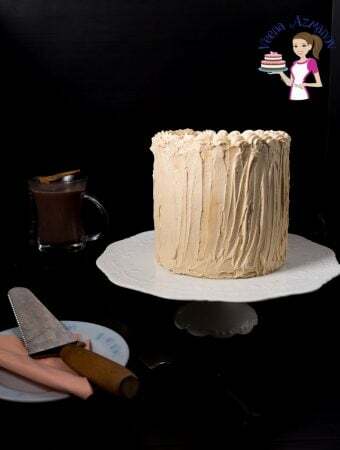 I may have to try making it now! We love lemon curd! It’s the perfect way to use up all this Florida citrus we have here! Lemon curd is the absolute BEST! 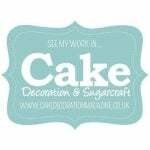 You make it so easy to make at home too… and I LOVE those jars! Thank you, Catherine. yes those are simple jars but perfect for gifts. 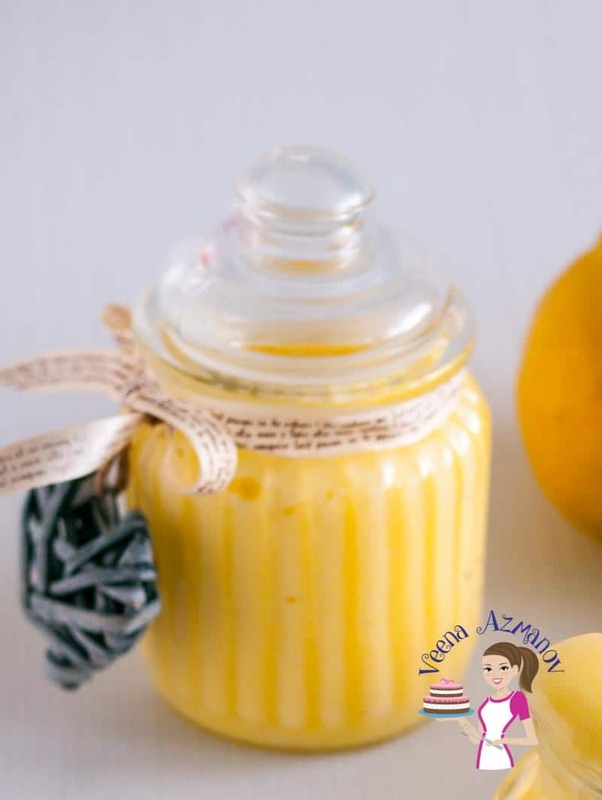 These homemade lemon curd jars are precious and will make perfect gifts for anyone. Your pictures really highlight your beautiful lemon curd. What a tasty looking lemon curd! I have to admit that I’d probably sneak it straight from the jar! I’m not seeing salt in the ingredient list but in the procedure you say add salt. Any help? Thanks. Thank you Emily. Yes, please add a pinch of salt in with the milk or the yolks. Made this lemon curd for the first time last weekend. Turned out perfect – and just the right tartness. Thank you for the recipe will definitely be making it again. 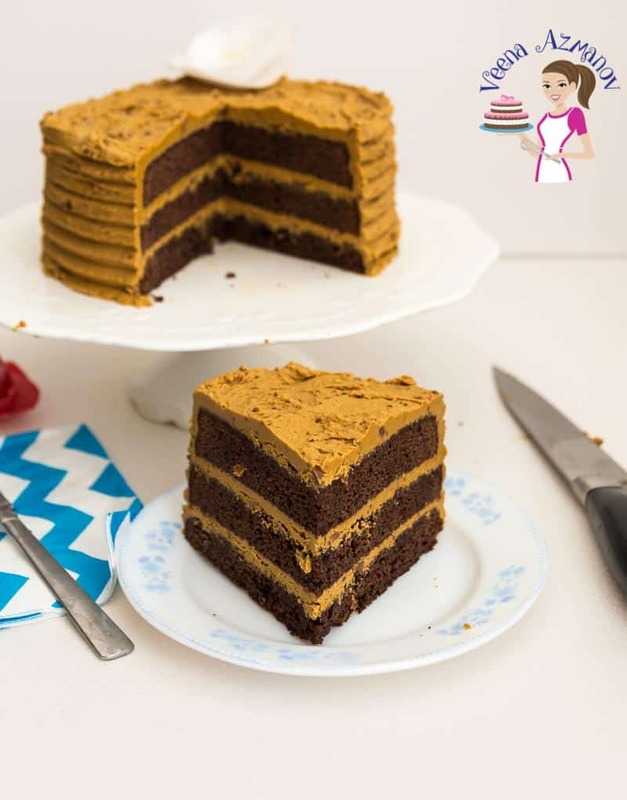 Thank you Mcpherren – So happy to hear that you had great success with this recipe and it was just right for you. I do think it’s the perfect tartness too. Thanks for coming back to write this feedback. Appreciate it very much. I absolutely LOVE lemon curd. I can just eat it off the spoon. Perfect for so many recipe additions. Me too Gloria. I eat it by the spoon. I made it it has more sour taste rather than sweet.can I reduce lemon to 1/2 cup or should I increase sugar quantity ?Guide me how I should do it and what? 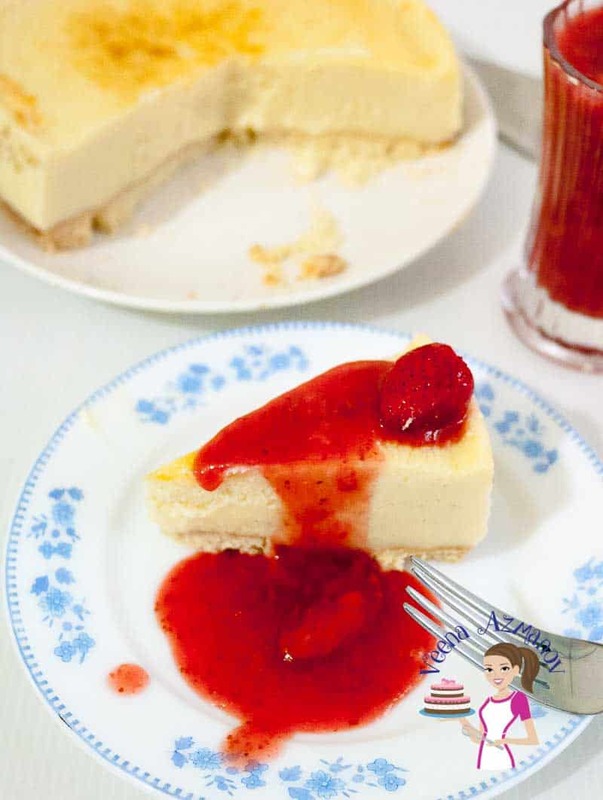 Sonia – Lemon curd is suppose to be tangy and sour.. But yes you can increase more sugar if you want. I’d say 1/4 cup more. Alternatively you can substitute half the lemon with orange juice. so it’s not so sour. Hope that helps. omg this is such a neat idea. Love this idea to make fruit curd. Pinning it for sure. Thanks. I remember making lemon curd years ago and it was delicious. This would be perfect is a summer tart. 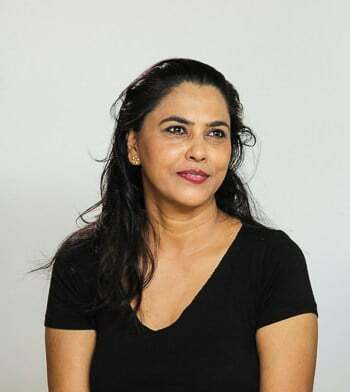 Absolutely Bintu. Would make a delicious summer tart. Lemon curd is the perfect spring dessert. I love a good no fail ercipe! 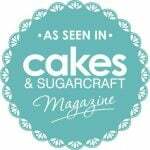 Love your beautiful cakes! Wondering if you have to refrigerate your lemon curd filled cakes? How long we can keep the curd in fridge? Hi! I tried the lemon curd recipe but I omitted the cornflour as I wanted to use the curd in a tart. However, the lemon curd is too runny… What can I do to make it thick? Or should I put it in a tart shell and bake it? Ah!! Sounds like you did not cook it long enough to thicken. You have to cook it on low heat for the mixture to thicken. Next time perhaps cook it a little longer and add half of the corn starch mentioned. I made it recently but it was as thick as custard !! Is it possible to replace egg in lemon curd receipe ? If yes how ? No I’m not sure you can replace the egg with anything. I’m sure there must be an eggless recipe you can find on Google. Sorry dont’ have any myself.